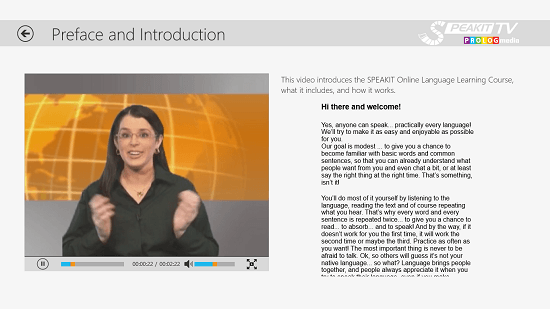 GERMAN – SPEAKit.tv is a free app for Windows 8 and 8.1 which allows you to learn how to speak German language on your Windows 8 or 8.1 device. When you run the app on your device, you will be presented with the main interface from where you can choose the lesson that you wish to study. The entire app has tons of various videos which can either be watched while you are connected to the internet or they can be downloaded onto your device and watched offline. The app makes for a great way to while away your time while being extremely productive by learning a new language. 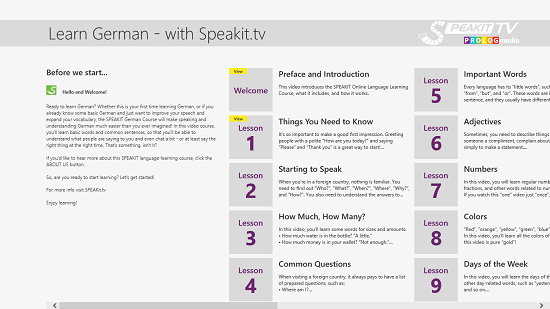 GERMAN – SPEAKit.tv is available for free from the Windows App Store. Upon installing and running the app on your device for the first time, you will be presented with a small tooltip which will tell you about the various features of the app. Simply click on Close button in the above tooltip and you will be taken to the main interface, from where you can choose from the lesson which you want to watch. Just click on the Lesson that you want to watch, and you will be taken to a screen which resembles the screenshot below. On the left is a video player interface in which a friendly lady will teach you the basics of the language and on the right is a typed out context of the video where you can read and learn the way to type and write in German. You can maximize the video player interface as well so that it becomes full screen. The lesson is shown in the screenshot below. You can click on the back arrow button at any time to return to the previous screen. You can also maximize the video player interface by clicking on the full screen button at the bottom right of the video payer box. The full screen video player is shown in the screenshot below. You can reveal the playback toggles by swiping up from the bottom or by simply right clicking. The playback toggles when revealed will look like the below screenshot. You can minimize the video again by clicking on the minimize video button at the bottom right of the screen in the playback toggles, or by merely clicking on the Esc. button. This is a wrap of this review! 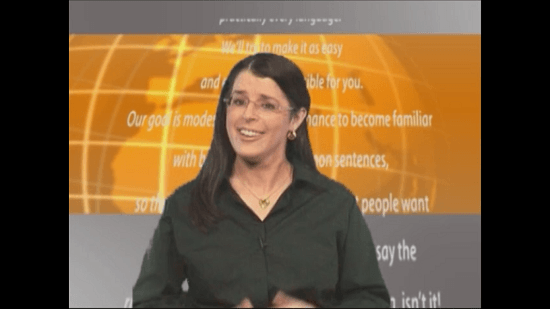 GERMAN – SPEAKit.tv is a great app with detailed lessons on the German language. The app is a must have if you are looking forward to learning German the easy way!